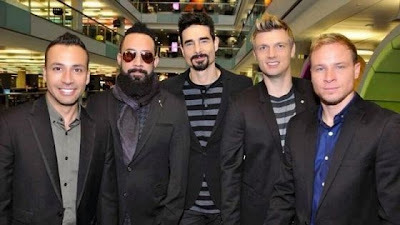 The Backstreet Boys revealed a preview of their upcoming documentary that celebrates their 20-year career and show the fans a bit of intimacy and history of the group. In Show 'Em What You're Made Of, Kevin trailer, Brian, Howie D, AJ and Nick talk a little bit about the beginning of the group in Europe, the period in which they were considered the biggest boy band in the world and the time that all the frenzy ceased. The video also shows the last album and behind the scenes from their tour, which marked Kevin's return to the group after an absence of six years. Show 'Em What You're Made Of is scheduled for release on January 30 in US theaters and February 26 for the rest of the world.